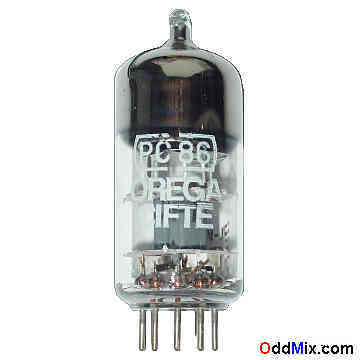 This is an original Orega PC86 High-Mu UHF Triode electronic tube. Nearest good subtitute is the EC86, 4CM4. This tube is useable as grounded grid UHF amplifier, oscillator and frequency converter in VHF, UHF television and FM receivers. A High-Mu triode may be used for many other special purpose circuits like oscillators and RF amplifiers for replacement, antique radio or television restoration projects, experimentation or to set up a private vacuum tube museum. One available!